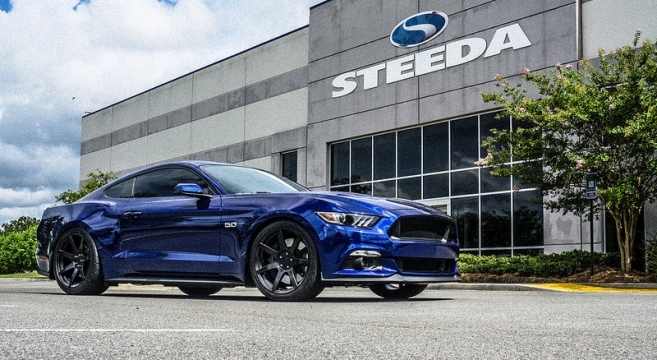 This Mustang of the Moment goes to M6G member wildcatgoal and his 2016 Mustang GT. 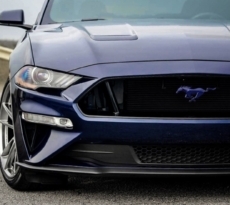 This Deep Impact Blue performance-packaged 2016 Mustang GT build began in February and has since received a whole line of Steeda suspension components — from core suspension parts to subframe and IRS upgrades — all with the goal of achieving a well-damped, visually appealing and firm suspension package. Performance and exterior modifications have been chosen for sensible, bang-for-buck updates that provide maximum effect. Power has been enhanced with the Ford Performance Power Pack 2, Ford Racing oil-air separator, aFe Pro DRY S Filter, and Solo Performance Mach XV catback exhaust. Meanwhile, the transmission has been taken to the next level with an MGW Race Spec shifter with Anarchy Motive “Titan” shift knob. 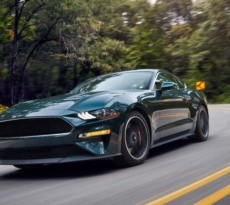 This S550 gets only a few exterior modifications but they are chosen wisely, with SpaceCitySpy’s upper and lower grilles, Ford Performance decklid panel and Need4Speed Motorsports Project 6GR wheels. 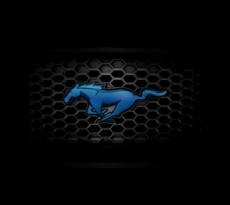 Check out wildcatgoal’s 2016 Mustang GT Performance Package full modifications list and build journal in the forums.